LONDON: Premier League leaders Manchester City can ensure Manchester United´s recent revival is short-lived by opening up a 12-point gap on their local rivals on Sunday. The champions hold just a two-point lead over Chelsea and Liverpool at the top of the table, but have looked relentless in recent weeks and shown no sign of a slip in standards from their record-breaking 100-point Premier League campaign of last season, scoring 12 times in their last two outings alone. That result only marginally stemmed the tide in the power shift across Manchester towards City since Alex Ferguson´s retirement in 2013. United have failed to finish above City in the league since, and are already nine points behind the leaders. However, Jose Mourinho´s men were also buoyed by their best result of the season by a distance in winning at Juventus in dramatic fashion on Wednesday to back up victories over Everton and Bournemouth. Defensive concerns remain for Mourinho, though, with United keeping just one clean sheet in their last 10 matches. Stopping a City side averaging four goals a game at the Etihad in the Premier League this season is a monumental task. Two weeks after Vichai´s helicopter crashed in the car park of the King Power shortly after Leicester´s last home match against West Ham, the Foxes will again pay tribute to the man who helped produce one of the greatest upsets in sporting history as a team labelled a 5,000-1 shot won the Premier League in 2016. Leicester players, staff and fans united for an emotional victory at Cardiff last weekend before the players flew to Thailand to pay their respects at Vichai´s funeral. More tributes will be made ahead of kick-off with an expected 20,000 fans set to take part in a walk from Leicester city centre to the stadium in Vichai´s honour, as well as a video tribute before kick-off and a two-minute silence jointly in memory of the victims of the crash and Remembrance Sunday. A combination of European and television commitments mean that five of the top seven are in action across four games on Sunday, offering the chance for three different teams to go top across the course of the day. Liverpool are first up as they look to make amends for a terrible result in the Champions League in losing 2-0 at Red Star Belgrade in midweek to jeopordise their chances of progressing to the last 16. Fulham are therefore welcome opponents to Anfield having slipped to the bottom of the table with a run of five straight defeats. Chelsea then have the chance to take top spot a couple of hours later when Everton are the visitors to Stamford Bridge, hoping to inflict Maurizio Sarri´s first defeat as Blues boss. Arsenal are also in action as they look to extend a 15-game unbeaten run and at worst remain just outside the top four at home to a Wolves side who have faded in recent weeks after a great start on their return to the top flight. 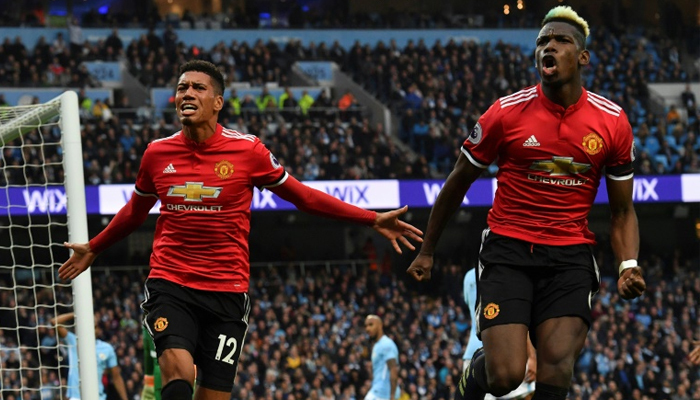 But top billing is reserved for the battle of Manchester´s giants with City likely to need at least a point to end the weekend where they start it -- at the top of the table.